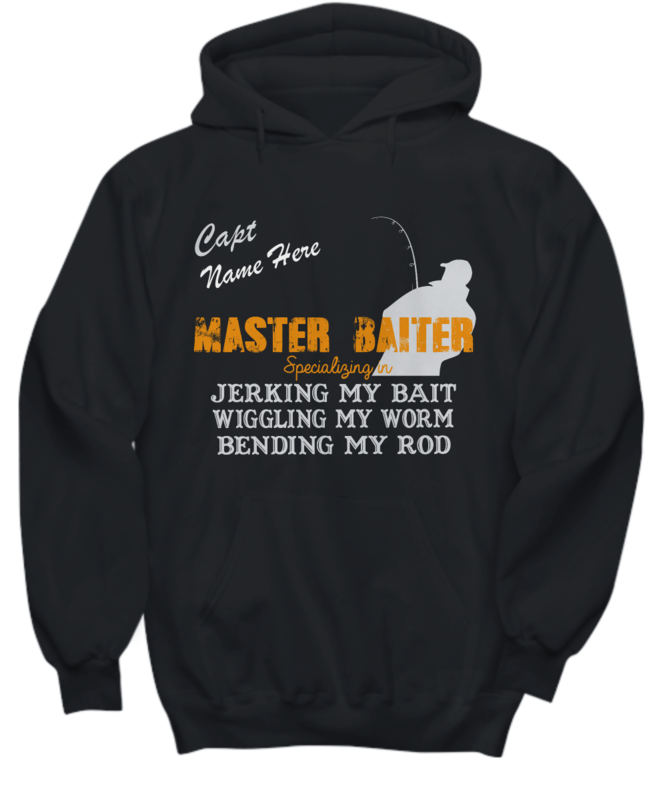 Captain Master Baiter - With Your Name! I purchased the Sweatrshirt hoodie and tank top for my boyfriend, Donnie as a surprise. I was very impresses with how quick the order was processed, made/designed and shipped out from when I ordered. Upon receiving I inspected the merhandise first to make sure it was correct, as his name is not spelled the traditional way. 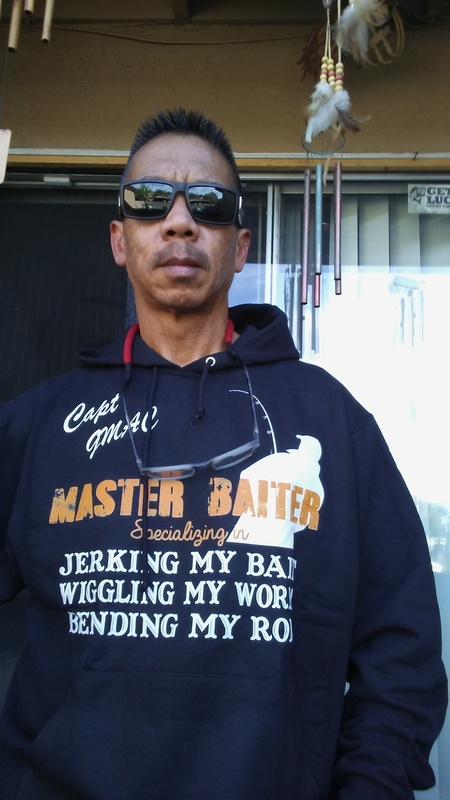 I was very pleased that the spelling of his name was accurate and satisfied with the finished product, as he loves to fish and I thought this would be a great gift. I placed the 2 items in a bag on the counter by the coffee pot so when he got up he would see something that needed to be opened. He was very shocked when he got up and opened the package and looked at the sweatshirt and tank top. I know they will get much use out of them and he was very surprised and very happy. Thank you for all the updates throughout the process and for how quickly the items were completed. You can be assured that you will have a repeat customer in the future. The hoodie looks good. I will have to wait to see how it holds up being washed. I am pleased so far with it. fairly quick turn around time. The quality of the sweet shirt itself, is only fair. Use to Cartartt so maybe my standard is higher than most. Love the slogan and added my name is great. 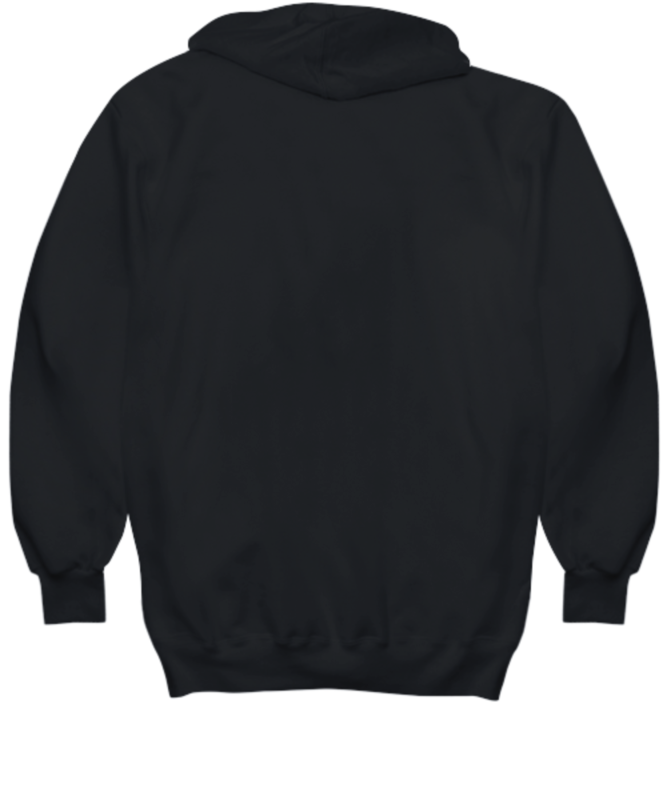 Would I purchase another, would have to have a better quality. Hoodie looks just like it does in the picture! Very happy with the order.